Five Feet Apart (film, 2019). A 2019 American romantic drama film with "PG-13" rating by CBS Films/Lionsgate/Lions Gate Entertainment. Directed by Justin Baldoni. Official Trailer. Five Feet Apart is a 2019 American romantic drama film directed by Justin Baldoni. 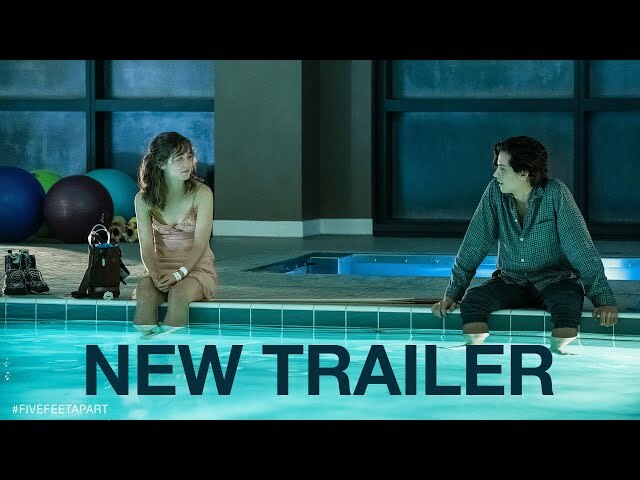 FIVE FEET APART - Trailer #2 - HD (Haley Lu Richardson, Cole Sprouse). Stella Grant is a cystic fibrosis (CF) patient who actively uses social media to cope with her illness and tries to live a normal life. She meets another CF patient, Will Newman, who is at the hospital for a medication trial, in an attempt to get rid of the bacterial infection (B. cepacia) he has in his lungs. CF patients are strictly kept at least six feet apart to reduce the risk of cross-infection, as contracting bacterial infections from other CF patients can be life-threatening. Stella is determined to adhere to the rule, and initially dislikes Will, who likes to break the rules and take risks. Stella notices that Will isn't strictly adhering to his treatment and asks him to start following his regimen. He agrees to, under the condition that he gets to draw her. As the pair grow closer, with Will learning that Stella's older sister died in a freak accident, Stella decides to not let being a CF patient take over her life anymore and "takes one foot back", keeping five feet away from Will at all times by them each holding one end of a pool cue. Will and Stella begin to fall for each other and secretly go on their first date, eventually ending up at the hospital pool, where they strip to reveal scars from their past surgeries. The next day, Stella creates a scavenger hunt for Will's birthday, which catches him by surprise. It culminates with Will meeting up with Stella, who leads him to a room filled with all of their friends for a surprise dinner party, courtesy of Stella and Poe, Stella's best friend and a fellow CF patient. Principal photography began on May 25, 2018 in New Orleans, Louisiana, and concluded a month later, on June 26, 2018. 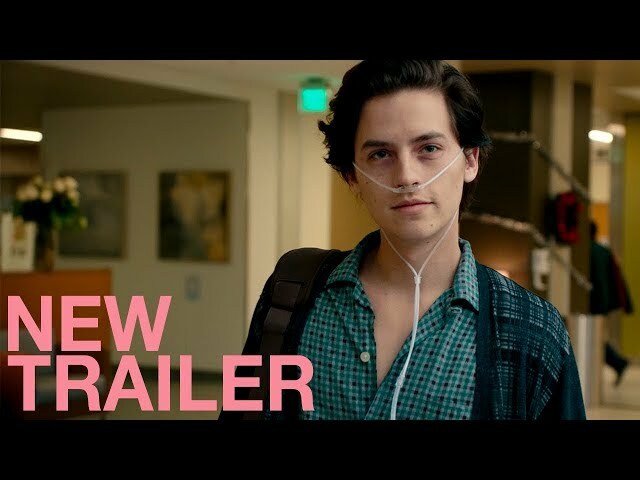 The film Five Feet Apart was scheduled to be released by CBS Films, Lionsgate and Lions Gate Entertainment on March 15, 2019 (United States), on March 22, 2019 (Lebanon) and on April 12, 2019 (United Kingdom). The duration of the film is 116 minutes. With a budget of $7 million, the film grossed over $70 million. Five Feet Apart got average rating from critics. But the audience likes the film. Audiences polled by CinemaScore gave the film an average grade of "A" on a scale ranging from A+ to F.